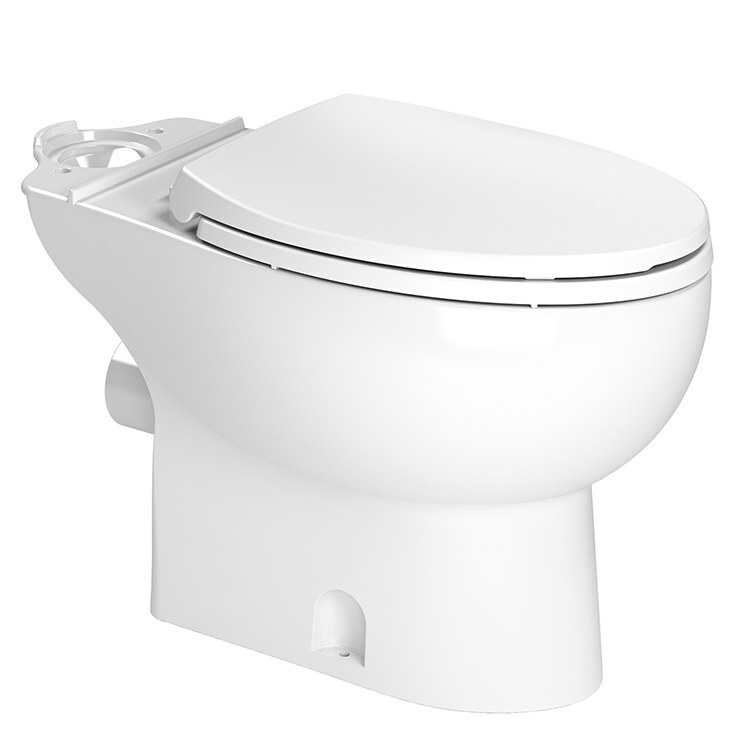 This Saniflush elongated-front toilet bowl is designed for use with the Saniflo 005 toilet tank. 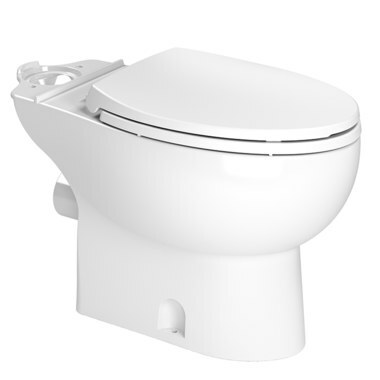 The bowl features an integral P-trap, a rear outlet spigot, a large 3" trapway, and a 16-3/4" seating height. Includes a soft-close seat and lid, lag screws, plastic anchors, and bolt caps.